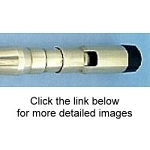 DBN- D Brass Narrow Bore: Very sweet birdlike whistle with very low air requirements and moderate back pressure. You can play a long time with one breath with this model. Moderate volume, most suitable for private playing or recording and quieter sessions. 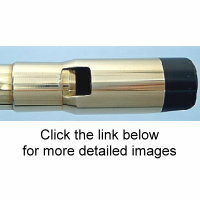 FREE Pouch included when ordering this whistle!